Over the past several years, especially since Obama became president, 9/11 turned into a diffuse holiday during which a Leftist-dominated media and political class ruminated about the needs of Muslims. Patriotism was verboten. We were allowed to shed tears for those who died, but the media shut its collective door on examining why they died. This year it’s different. This year, we’re once again looking into Islam’s gaping and bloody maw. The Arab Spring is a carnage-strewn winter. Egypt is imploding, Syria is a bloodbath, and Iran is ascendent. More than that, in the past week we witnessed the complete collapse of American influence in the Middle East and, by extension, everywhere else too. We’re not even a paper tiger. We’re paper after it’s been through the shredder. 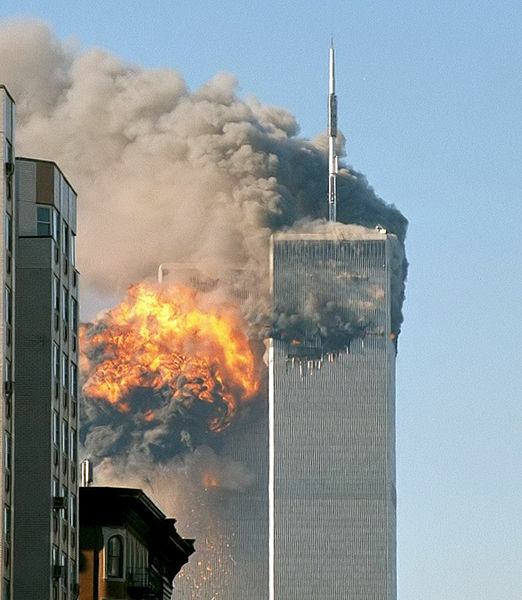 The situation we face today is September 10, 2001 all over again, only worse: Islam is more vengeful and weaponized; and America is more weak, disrespected, and discredited. For those who care about their children’s future (and their own), remembering 9/11 isn’t just a tearful, bathetic media wallow in photogenic images, along with equally teary statements about the misunderstood religion of “peace.” Instead, it is a very real reminder of the risks we face and the strength we need to find in order to protect ourselves from something that will make 9/11 look insignificant. This 9/11, I definitely remember and pay homage to those who died and those who served. I’d also like to applaud the bikers across America who are riding into Washington, D.C., today, both to commemorate the dead, and to make a statement about the power of the people and the power of patriotism. As for me, a piece of my heart was left behind forever on September 11, 2001. I will never forget. I don’t have anything else of note to say about this solemn day. In the past, I’ve written memorials about three of the honored dead, and I include links to them here. (I prefer “honored dead,” a nicely Victorian phrase, to the word “victim,” which negates Americans’ tattered, but still surviving, fighting spirit). Also, below the fold, there is a very, very, very, very long list of each person who lost his or her life on September 11, 2001 at the hands of Muslim terrorists.